Curly willow that is joined at the top leaves about 18 inches of clearance for the container to placed on a bed of moss in the center of the arrangement. 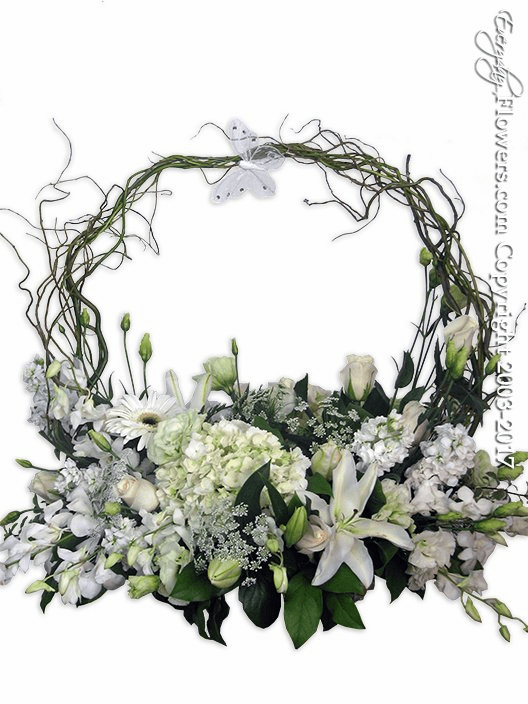 White flowers such as orchids lilies hydrangea and roses are used to decorate the base of the arrangement. Available for delivery in Orange County California.